Shinhan Card introduced new credit card products to suit the changing lifestyle of people in Korea. The new cards were created after using the Big Data Center. One of the new card products is called “Shinhan Card Deep Store,” which allows users to get a 15-percent discount on products bought with the new card at stores in local neighborhoods, and a 10 percent discount at famous multi-shopping malls on purchases made on the weekend. The new credit card was introduced based on a Big Data analyses that credit cardholders today, unlike in the past, have the tendency to use cards at shops within 500 meters of their homes, boosting the so called “home-around” consumption. Cardholders get a 10 percent discount for commodities they purchase in their neighborhoods and a bigger discount if the purchase exceeds 50,000 won. The so-called “Livelihood Homeshopping Members” include supermarkets, convenience stores, butchers, stores with a variety of goods, food stores, and small-and-medium sized stores with daily necessities. Shinhan Card hopes that its new Deep Store card will spur sales in local neighborhoods. These card will allow users to get a discount of as much as 15-percent up to 100,000 won worth of goods. They are entitled to get four 15-percent discounts, eight 10-percent discounts per month, while 10-percent discount will be given once daily but limited to three times per month. The discounts should not exceed 5,000 won per month. On weekends, a 10 percent discount will be offered, based on findings that people tend to visit multiple shopping malls such as Starfield (Hanam and Koyang) in Lotte World Tower in Jamsil, Lotte in Eunpyeong, Gimpo, and Suwon, E-Mart, Lotte Mart including Lotte VIC Market, and Homeplus, among others. They will get a 10-percent discount once daily, three times per month for a maximum of 5,000 won per month. The discounts provided to the Shinhan Card’s Deep Store card will be provided after integrating discounts given in the preceding month. The annual fee for the card is 13,000 won for the domestic use card. While 16,000 won will be charged for the card for both home and international use. Officials of the card company said the Deep Store card was created based on analyses that people tend to use the credit cards often in their own neighborhoods, especially on weekends, and they tend to visit multi-shopping malls. Shinhan Card has been driving its so-called “Creative Finance” to keep its position as the top credit card company in Korea in terms of the number of cardholders and market share. 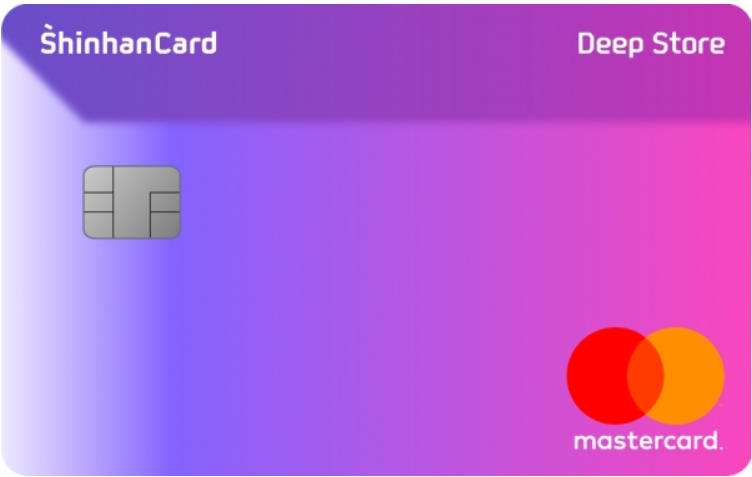 The credit card company wants to heat up the financial world with its “Compassionate Finance,” which has been preached by Chairman Han Dong-woo ever since his arrival at Shinhan Financial Group in 2013. 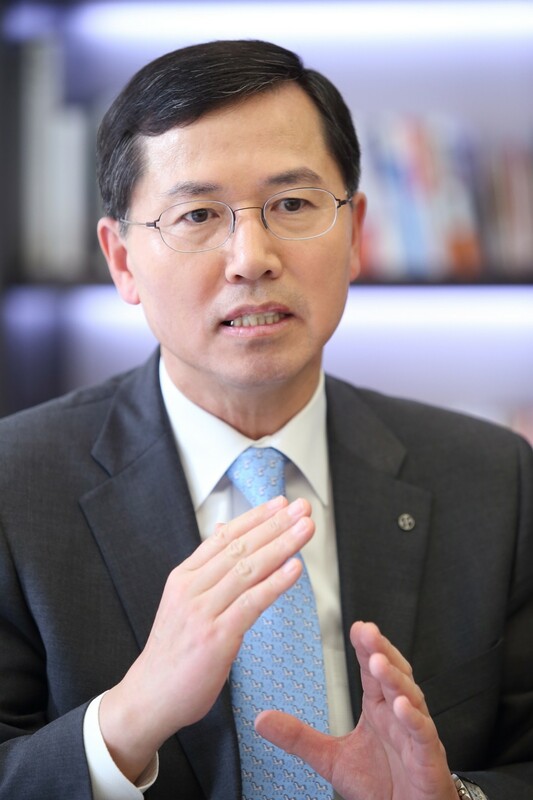 In his New Year’s speech, President Wi Sung-ho said the credit card company should get away from past ways of thinking and practices by creating new chances this year and lead the creative challenges ahead. President Wi’s speech boils down to the company taking up Fintech to develop various credit card products or apps under intensive strategies with the credit card business having many areas to make use of IT in its operation. The company has been marketing its cards that can settle payments with smartphones, and the password payment settlement through smartphones. They do not require any other certifications to lead the application of the Fintech in its operations. The company aims to open up a new horizon in its operation, based on strategies drawn up from its Big Data collection according to the consumer patterns and lifestyles of its 22 million cardholders. A Shinhan Card Deep Store which has been introduced to suit the lifestyle changes taken from Big Data Center showing that the cardholders like to shop at neighborhood stores normally and at multi-shopping malls on weekends.